Join us June 8th, 9:00 am - 11:00 am at the Slater Office. Limit of 5 boxes per vehicle. 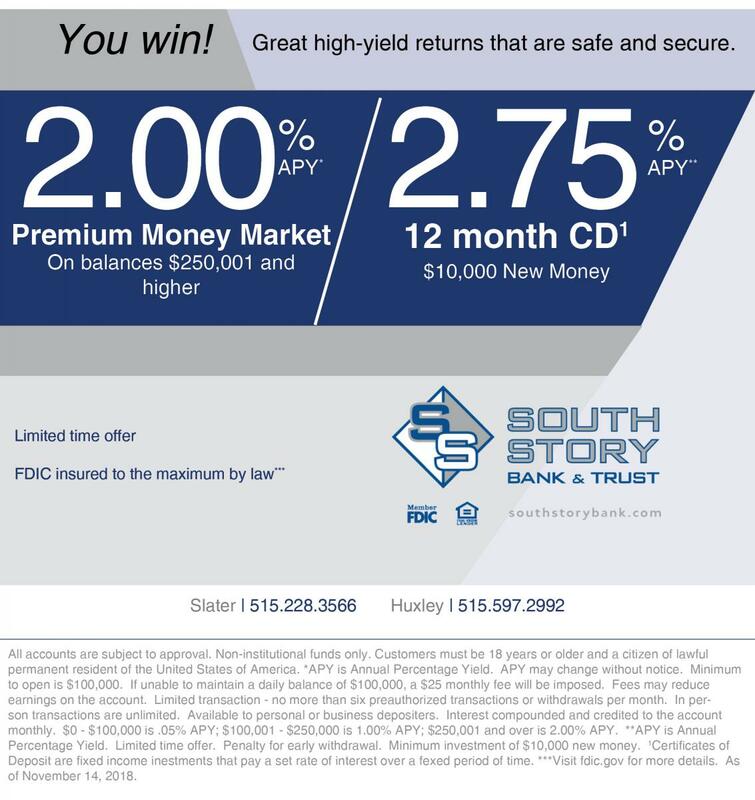 Maximize the return on your deposits with a 2.00% APY. Are you an energetic professional? We're looking for a Cash Management Specialist. Keeping you and your hard-earned income safe is a priority for us. Find helpful online security tips and advice here. Save time and money with services that give you more power and control over your finances.